XXL: 45.5"-53.5" / 115cm – 136cm belly sizes. Constructed of a multi-layered laminate with a cotton/nylon lining. Four elastic side panels add compression and ventilation. 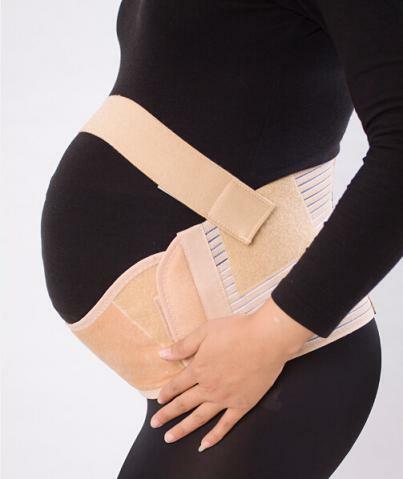 Included abdominal lift attachment gives lift without unnecessary pressure.